Easter is a very important for Christian people, today IS 29 march of 2013, and its good friday. Good Friday is the friday before Easter sunday and 31 march its going to be Easter day.Good Friday is the day when Christ was crucified.In good friday, Christians mourn in the church.Between 25 march and 31 march of every year Easter day is celebrated around the world as a holiday. But why Easter day is celebrated ? This is the day,when the christian people remembers the death and rebirth of Jesus Christ.After Jesus Christ was crucified on friday( known as good friday ),his body was taken down from the cross,and was buried in a cave tomb.The tomb was guarded by Roman soldiers,and large number of stone was put over the entracnce,so that no-one could steal his body. On Sunday, Mary Magdalene with some Jesus's Diciples visited the tomb and found that stones were moved,there were no guards, and Jesus's body was not there too. Jesus was seen on that day by Mary and his disciples,and his followers. Christians believes that two angles came from heaven moved the stone and the guards and gave life to jesus. From the death to rebith of Christ is called resurrection by the Christian people. 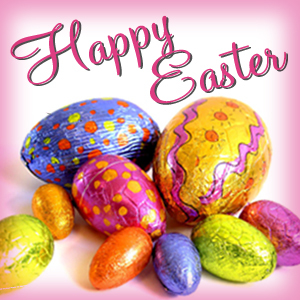 Easter day is holy day for Christians celebrating the resurrection of Jesus Christ.